At RT we are set to step beyond the boundaries of bare facts and bring you the human side to every story. Broadcasting in English 24/7 in over 100 countries spread over five continents, RT is here to show you how any story can be another story altogether. Our correspondents in New York and Washington, London and Paris, Delhi and Tel Aviv focus on international headlines whilst giving an innovative angle set to challenge viewers worldwide. 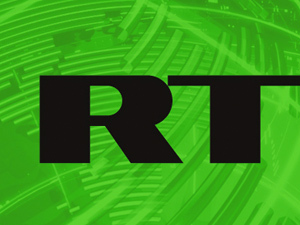 RT was the first television station in the world to set up a bureau in Tskhinval, the capital of South Ossetia after the August 2008 conflict. Apart from regular news updates, RT offers a unique insight into many aspects of Russian history, culture and opinions. Our special projects are specifically tailored to accustom the international audience with the Russian perspective. We are available around the world on cable, satellite and online. In Europe, South Africa and North America, RT has an audience of around 200 million paying viewers among the pay-TV subscribers. RT was the first Russian news channel to harness intercontinental potential and have its live broadcast show on America’s “most important screens” – NASDAQ and Reuters. Likewise, in August 2007, RT was the first channel in television history to report live from the North Pole. Embracing technological advances, RT was the first Russian TV channel to hit the web with its own page on YouTube alongside its continuous online broadcast and blogs on services such as Facebook, MySpace and Blogger. During the South Ossetian conflict alone, our YouTube viewership of South Ossetian reports alone rose to 1,330,803. The total RT viewership peaked at around 10-15 million. The number of our online viewers on the Livestation platform during this period surpassed that of such international broadcasting companies as BBC World News, Euronews and France 24, being second only to that of Al Jazeera English.